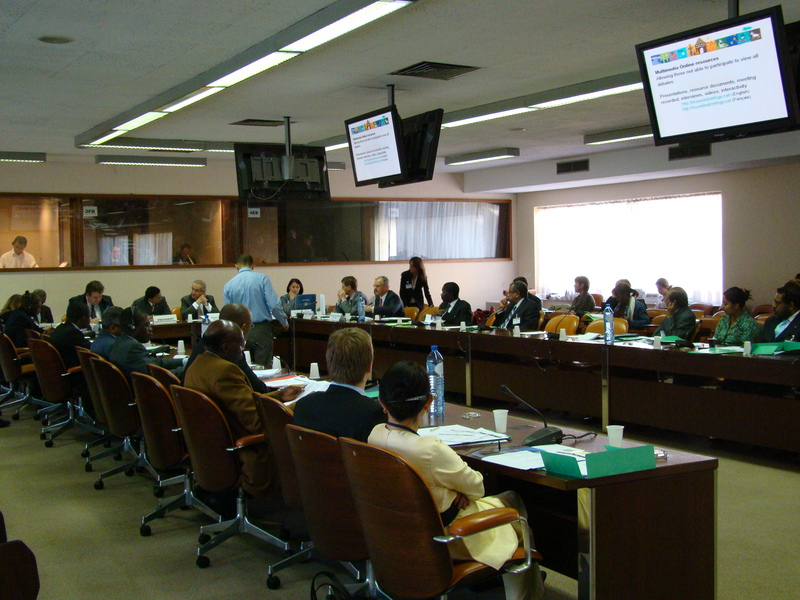 The 10th Brussels Development took place on 29th April 2009 (ACP Secretariat, Brussels) on “Fighting against Illegal, Unreported and Unregulated fishing (IUU): Impacts and challenges for ACP countries”. The Briefing reviewed the main economic, social and environmental challenges that IUU poses at global and regional levels, especially in the ACP context, and the existing global and regional initiatives against IUU. Moreover the 2008 EC regulation which aims to prevent and deter IUU fishing has been discussed, along with the challenges for its implementation in ACP countries and the need for technical assistance to comply with the new requirements. H. E. Barry Faure, Ambassador of Seychelles in Brussels and Chair of the ACP Ministerial Group on Fisheries explains the main issues on Illegal, Unreported and Unregulated Fishing (IUU) of interest to the ACP group. He explains the impact of the Council Regulation establishing a European Community system to prevent, deter and eliminate IUU and the challenges it poses to ACP countries exporting to the EU. He also gives us the background to the first ACP Council of Ministers on Fisheries to be held in Brussels in the first week of June. PANEL 1 – What do we know about IUU and how it affects ACP countries? This panel will review the main economic, social and environmental challenges that IUU present at global and regional levels, especially looking at the ACP context. It will review the existing global and regional initiatives against IUU and the role of the various stakeholders. What is the substance of the Council Regulation establishing a European Community system to prevent, deter and eliminate IUU and what is the potential impact for ACP countries? What are the views, experiences and feedback form the private sector? What will be the needs of the ACP sector as to comply with the new requirements? Mr. Terrence Phillips from CRFM, which associate CARICOM member states, underlined that Caribbean states have a specific interest in the EU Regulation on IUU fishing because of its possible effects on exports of fishery products not only to the EU members’ states, but also to the EU overseas countries and territories in the region, as Martinique and Guadalupe. The new Regulation requires new resources to ensure that fish to be exported is ‘IUU free’ therefore, while stressing the importance of the Regulation and Caribbean countries’ commitment to address the IUU fishing issue, Mr. Phillips expressed his concerns about its future impacts. Mr. Cesar Deben, Director at the EC/DG MARE, emphasized the importance of dialogue among ACP and EC administration in charge of fisheries in order to better prepare the implementation of the EU Council Regulation on IUU Fishing which deals with fundamental issues as to protect fisheries resources and facilitate the access to the EU market at equitable conditions? To this end, a joint work is necessary – Mr. Deben stressed – and the EC is ready to support ACP countries to build up their capacities. M. Samba Gueye, General Secretary of the National Federation of Fishermen interests (FENAGIE Pêche) in Senegal emphasized the impacts of IUU fishing on fisheries industry and communities in developing countries. The damages to ecosystems, the non regulation and non surveillance represent major challenges for artisanal fishing. Extensive information and awareness raising, along with the possibility to build up again alietiques resources, are key efforts to undertake in order to let fishermen communities to resist IUU fishing. As Head of Service in FAO Department of Fisheries and Aquaculture and Secretary of FAO Committee on Fisheries (COFI), M. Ndiaga Gueye stressed that IUU fishing represent a global challenge and that international community is increasingly involved in what can be qualified as a curse of modern times. From its part, FAO play a key role in dealing with fisheries issues within the UN system and has established a set of measures to fight and eradicate IUU fishing: in view of this, international negotiations for a legally-binding instrument on port State measures are currently under way. FAO also undertook several national and international initiatives in order to build developing countries financial and technical capacities to address IUU fishing. Representing the South African Deep-Sea Trawling Industry Association (SADSTIA) – a non commercial trade organisation and industrial body – Mr. Roy Bross expressed its support for the objectives of the EU Regulation on IUU fishing. While realizing and accepting it would require increased costs, he stressed that the main trouble for South African fisheries industry relate to the possibility to continue developing business. In this sense, granting a certain degree of flexibility in implementing some aspects of the catch certification scheme foreseen by the Regulation represent, in his words, a critical issue. Mr. David J. Agnew from MRAG synthesized the key results of a 2005 and a 2008 MRAG study on the impacts of IUU fishing: he estimated the overall loss for IUU fishing in 10 to 23 billion $ per year and stressed that there is no country, no fishing sector and no species which is not vulnerable to IUU fishing. In his opinion, the actions to be taken in order to fight the phenomenon should primarily focus around better control of fishing and licensing, as well as on banning fishing in areas where it could create economic damages to local communities or could hurt the local ecosystems.